Maggie Moss ’01 and Michael Feldbaum were married on 3/7/15 in Palm Springs, CA. This news was submitted using our Submit Your News form. If you have any news you'd like to share, please let us know! Rachel Craig ’11 received her Masters of Library and Information Science in May 2015. She also started a job as an E-Learning Content Specialist at Allen Edmonds Shoe Corporation in June 2015. This news was submitted using our Submit Your News form. If you have any news you'd like to share, please let us know! Valerie Wilbur Boelter ’08 and Justin Boelter ’08 welcomed Bennett Russell Thomas Boelter on August 28th, 2015. This news was submitted using our Submit Your News form. If you have any news you'd like to share, please let us know! Natalie Else Gulleson ’01 and husband, Lance Gulleson, welcomed a baby boy, Seth Ronald on 7/2/15. This news was submitted using our Submit Your News form. If you have any news you'd like to share, please let us know! John R Nord ’72 started Adler Graduate School in Feb ’15 to earn a MA in Marriage, and Family Therapy. He married Sally Beck on July 11, 2015. This news was submitted using our Submit Your News form. If you have any news you'd like to share, please let us know! Margaret Dalen Cass ’02 and husband Brandon Cass ’02 announce the birth of twins Claire Etta and Hadley Cynthia on August 28, 2015 . This news was submitted using our Submit Your News form. If you have any news you'd like to share, please let us know! Erica Hett ’13 and Zach Wagner ’13 were married at Gustavus in Christ Chapel on June 20th, 2015. This news was submitted using our Submit Your News form. If you have any news you'd like to share, please let us know! Lauri Huettl Smith ’05 married Jason Smith on 12/20/2014. This news was submitted using our Submit Your News form. If you have any news you'd like to share, please let us know! 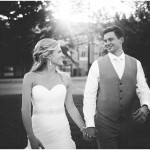 Emily Nelson ’09 and Landon Shroyer ’12 married July 24, 2015 in Mankato, MN. This news was submitted using our Submit Your News form. If you have any news you'd like to share, please let us know! Ashley Gibbs married Ian Paul on July 31, 2015. Ashley teaches kindergarten at Plymouth Creek Elementary, having received an M.A. in Education from Saint Mary’s University in April 2015. This news was submitted using our Submit Your News form. If you have any news you'd like to share, please let us know!